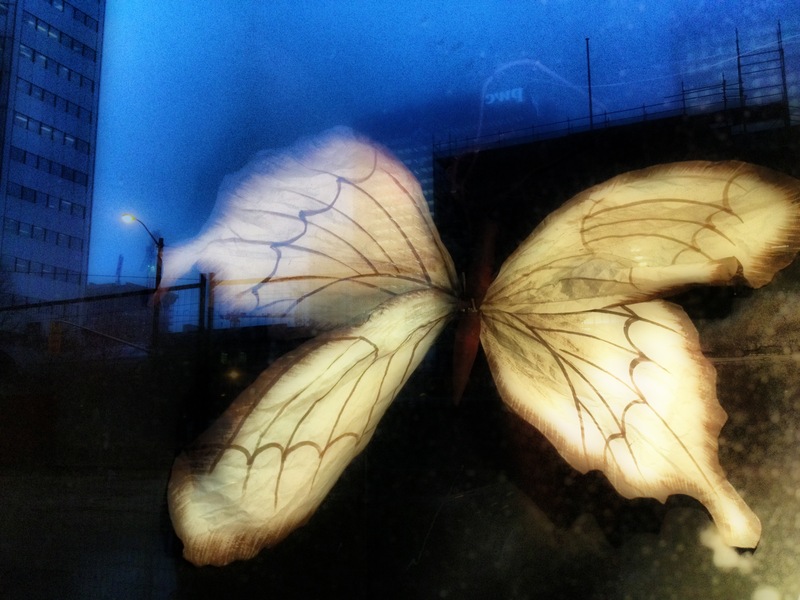 Inside a store window, these luminous butterfly wings. Reflected in the glass, a central city street under heavy construction. Transformation is in the air. The start of a new month – a new beginning. Wishing you a beautiful weekend…a beautiful month. Did my eyes see it right? The early morning sun in the garden – that I know. But, the mist rising. Was I really seeing that? 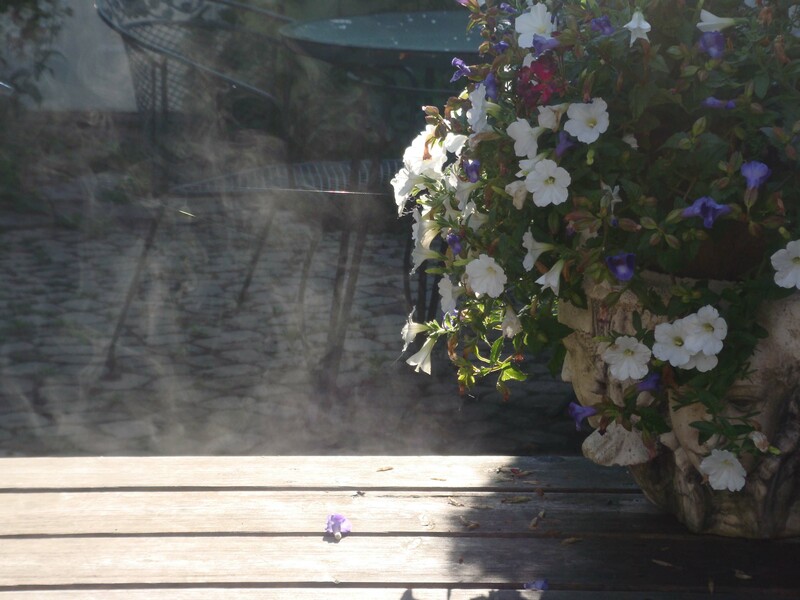 Late night rain having seeped into the deck, now rising as mist in the heat of the morning sun? It was almost mystical. Seeing it. Not seeing it. Was it really there? Was it real? This soft morning mist rising gently into the air? Such a moment. Simple and beautiful. With the power to ignite the imagination and change the mood, and transform the early morning weekday routine into something magical and beautiful. Morning mist. A little bit of magical in the morning. An office tower in the early afternoon. 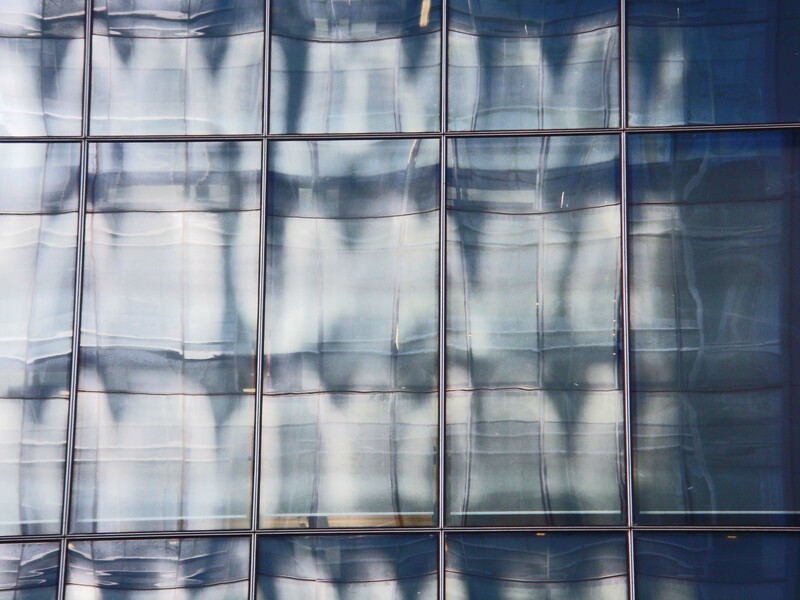 A shimmering skin of glass.